Like Kleenex for tissues or Dumpster for large garbage containers, the brand Teisco has become a kind of shorthand for “strange looking Japanese guitar from the 1960s.” When someone posts a picture on a forum of a vintage Japanese guitar that he’s trying to identify, five people will immediately shout out “Teisco!” Occasionally, they’re even right. 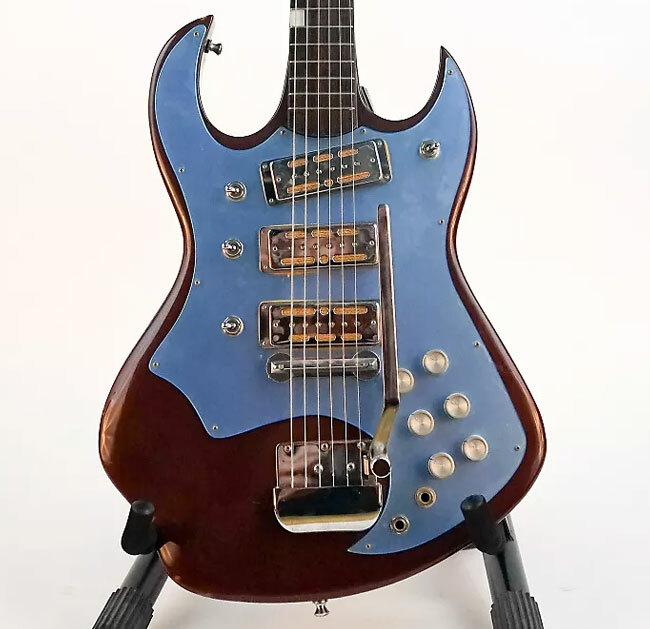 But the reality of the matter is that while Teisco did produce over a million guitars during the course of its history, there are also a few million more Japanese–made guitars that are decidedly not Teiscos. Before we jump in, it’s important to note that all of these companies we’re about to discuss were Original Equipment Manufacturer (OEM) producers for a variety of brands both in Japan and abroad. This means that a company (for example, Strum and Drum of Wheeling, Illinois) could approach a Japanese manufacturer (in this case, Sakkai) and ask it to produce a guitar branded for that contracting company’s in–house brand name (Norma). Often, these guitar brands would source guitars from multiple manufacturers to fit different price points in their catalogs. The Norma brand has guitars that were made by Teisco Gen Gakki, Sakkai, and Tombo, as well as several other manufacturers. This guide looks at all of the different guitar manufacturers working in Japan in the 1960s so that you can begin to differentiate between their products and get a better idea of what you're buying. 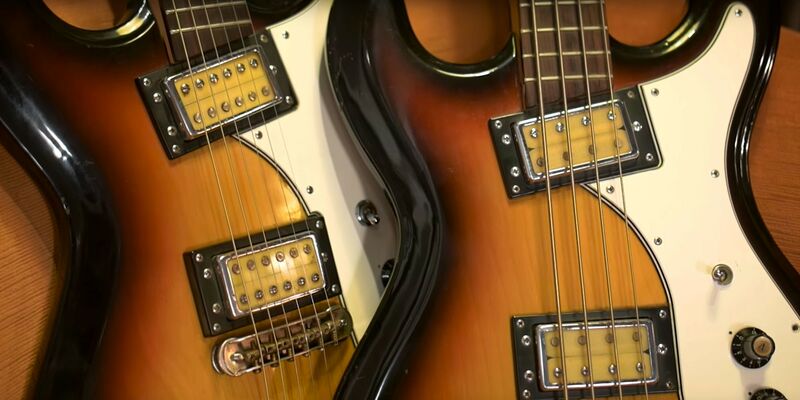 If we’re talking about guitars that are often mistaken for Teiscos, we need to start out talking about Teisco, which has a bit of a confusing history. 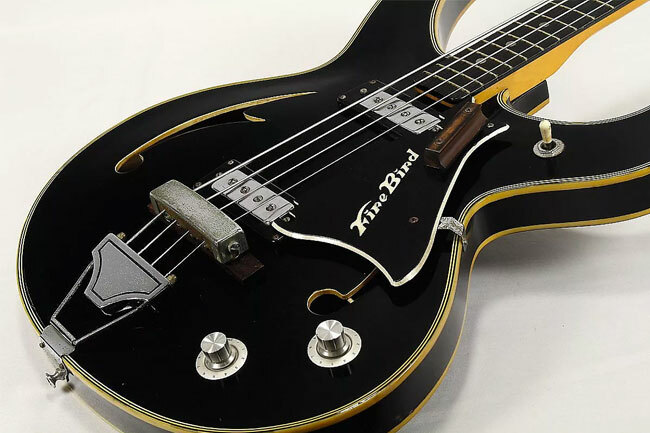 Teisco started making lap steels in the late 1940s, and by the ‘50s were making solid bodies and archtops. 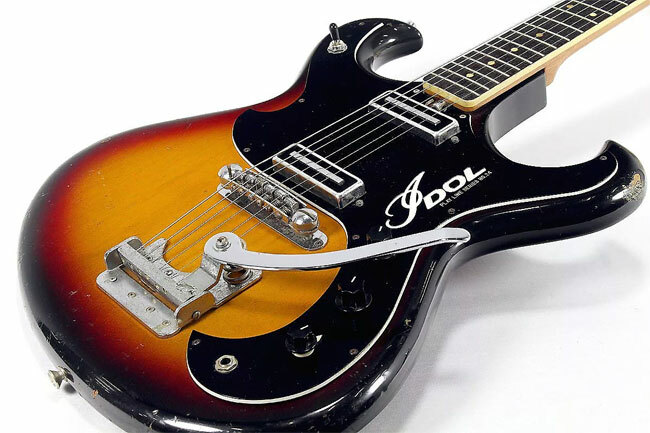 The company enjoyed increasing success right through the big Japanese guitar boom in 1965, but a 1967 downturn in fortunes resulted in the company and brand being sold to Kawai. Teisco’s subsidiary manufacturing plant Teisco Gen Gakki (Japanese for “Tesico Stringed Instruments”) was not included in the sale, as Kawai decided to transfer manufacturing to its own plant in Hamamatsu. 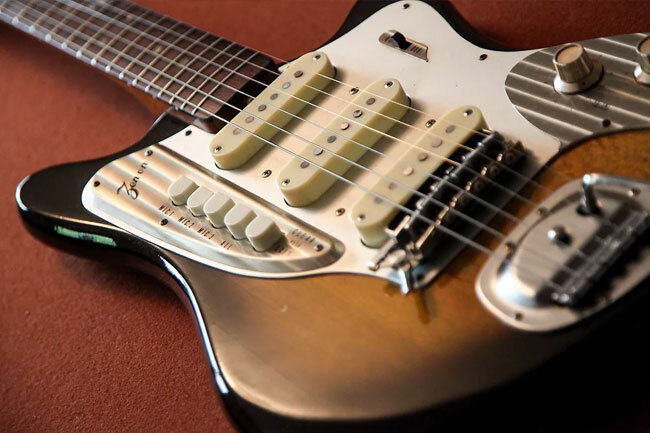 Original Teisco factory guitars from before the Kawai sale can be some great players, and many of them feature highly sought after gold foil pickups made famous by Ry Cooder. But beware, many Japanese manufacturers made gold foil pickups that share some characteristics with Teisco’s, yet are not the same. How can you tell these gold foils apart? Look for the fake set–screw pole pieces. On a true Teisco gold foil pickup, these six screws are on top of the pickup. But with Zen-On’s (or several other manufacturers’) gold foil pickups, these set–screw pole pieces run through the middle. 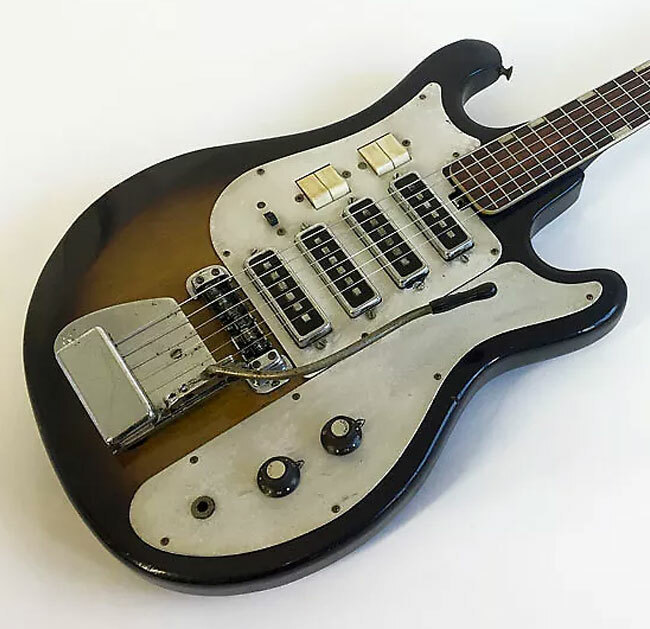 Originally the subsidiary manufacturing plant supplying bodies and necks to Teisco from 1963 to 1967, Teisco Gen Gakki continued as an independent company and continued to manufacture bodies and necks for a number of new companies (Honey, Idol, Firstman) emerging from the original Teisco ashes. All of these shortly went bust. It also manufactured OEM guitars for domestic and overseas brands (most notably Norma) before going bankrupt sometime around 1970. Interestingly, guitars made at this factory never used plywood for bodies. Kawais are probably most often mistaken for Teiscos because Kawai bought the Teisco brand name in 1967 and continued to make familiar Teisco guitars, while adding new models every year. 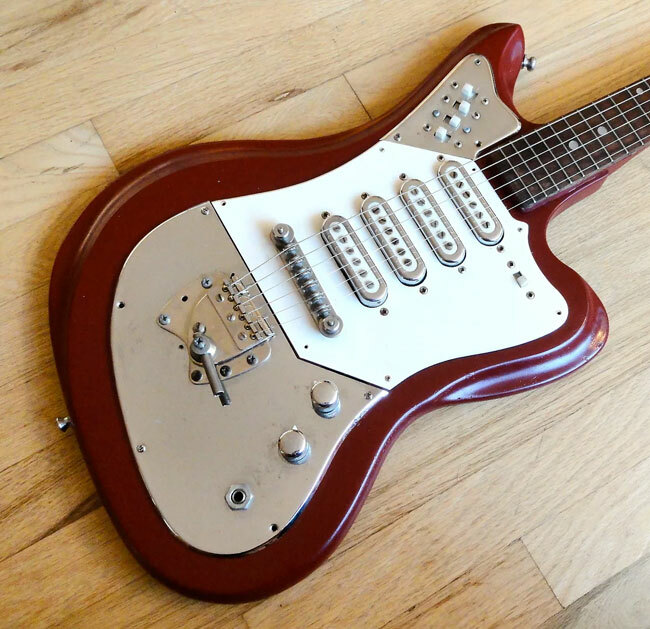 Though sometimes sharing some similar looks, Kawai guitars tend to be a bit inferior to original Teisco guitars, especially when it comes to the wiring and pickups. 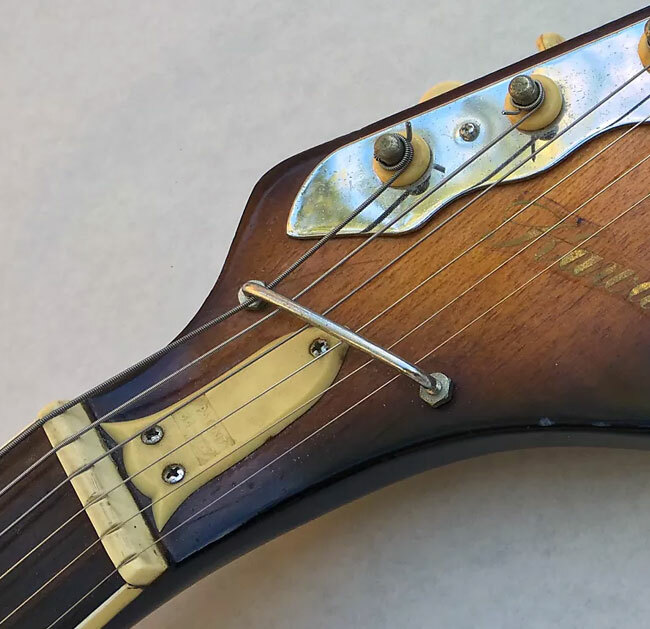 There is one good way to distinguish a Kawai (or a Kawai–era Teisco) from an original Teisco: look for a string bar on the headstock. Kawai used this feature on a majority of its solid bodies, while original Teisco guitars never used string bars and instead favoured pitched headstocks. Kawai continued to produce Teisco–branded guitars, amps, and even synthesizers in dwindling numbers up through the mid–‘70s. Occasionally, Kawai has periodically produced reissues of the most famous Teisco guitars: the K-series shark fins and the Spectrum 5. Zen–Ons are No. 2 on the list of guitars most often mistaken for Teiscos. The Zen–On brand name is relatively unknown outside of Japan, but it produced a large number of OEM guitars for overseas brands. 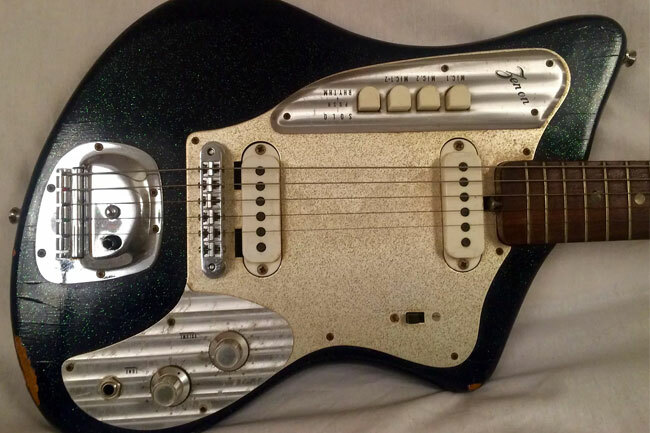 As mentioned earlier, many of its guitars included a gold foil pickup that looks deceptively like the original Teisco’s. Zen–On also used plywood on almost all of its guitar bodies, though its top of the line and Morales–branded guitars sometimes featured two–piece sandwich style construction. Fujigen went on to achieve lasting fame as the manufacturer of Greco guitars in the ‘70s and Fender Japan in the ‘80s and early ‘90s. But Fujigen’s work in the ‘60s is our focus. The Fujigen hardware is the easiest way to tell these guitars apart from Teiscos. For example, Fujigen embossed "mic 1" and "mic 2" into their metal control plates, while Teisco did not. This is just one example, but it requires a bit of reading and studying about the nuances of that hardware to positively identify the Fujigens for what they are. Fujigen was the largest exporter of guitars to the USA, with Kawai coming in a close second. Fujigen also used solid woods for the bodies, and worked closely with Matsumoku factory in the city of Matsumoto. Originally a wood factory for Singer sewing machine cabinets, Matsumoku switched to guitar manufacturing when Fujigen was searching for a factory that understood woodwork and the proper wood curing. Matsumoku had some amazing designers on staff, and its creations have produced some of the most lasting and durable guitars on the vintage guitar market. Just check out any Univox Hi-Flier or the early ‘70s Epiphone guitars to get an idea of this factory’s quality and consistency. There’s a certain mystique surrounding those funky Univox Hi-Fliers — part of it due to the iconic guitar it was created to mimic and some due to the famous guitarists who have slung one across their shoulder, like Kurt Cobain. Sakai Mokko is a fairly obscure company, but it produced a large number of OEMs in the Teisco/Kawai vein. Sakai Mokko practically took the Teisco/Kawai playbook and ran with it. 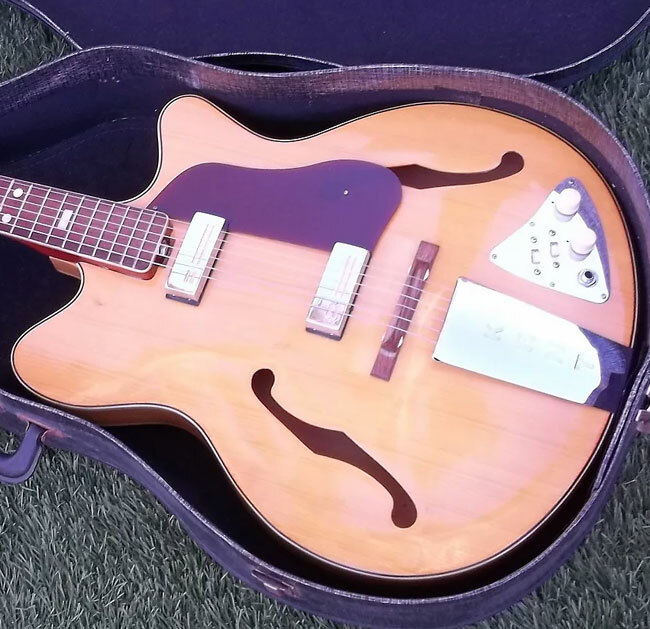 When the original Teisco was bought up by Kawai, some US brands who originally imported Teiscos switched to importing Sakai manufactured guitars. Sakai also manufactured guitars with gold foils which, like Zen–Ons, have the set–screw pole pieces running across the center instead of along the top. Sakai’s was generally viewed as a cheaper guitar option in the late ‘60s. All the British “Hertie-Casters” were made by Sakai. 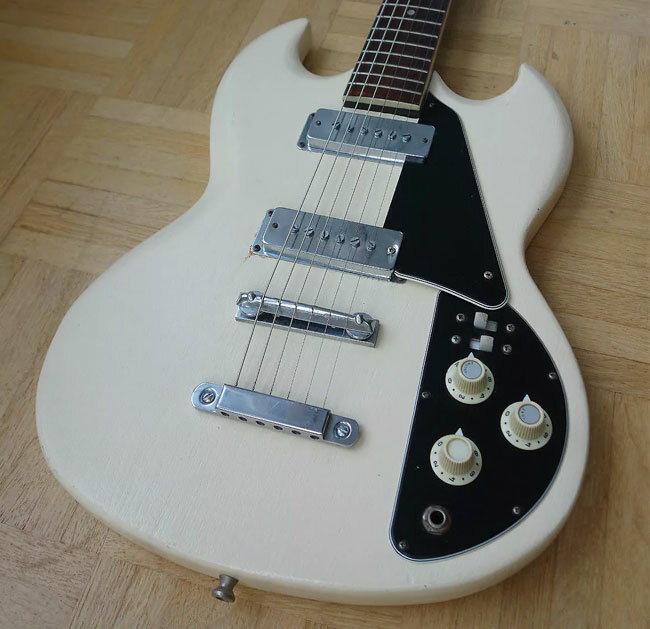 Guyatone guitars are well known enough that they are rarely confused with Teisco guitars. 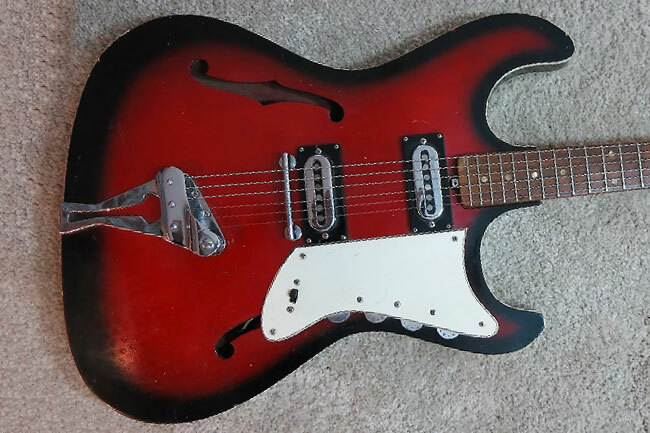 However, sometimes sellers will infuriatingly lump the two brands together “Teisco/Guyatone guitar!” which is a bit harsh on both brands, as they both have some merits over the other. Generally, though, Guyatone guitars tended to have a higher quality build. Even the cheapest ones can be solid players, whereas some of the cheapest Teisco guitars (especially from the Kawai–era) can be a real headache to get playing well. Guyatone mainly focused on electronics and pickup design and often used other factories to produce the wood parts. This is especially true of the late ‘60s guitars. The Pleasant brand of guitars was manufactured by Shinko Gakki from roughly 1965 to 1967 when the company suddenly went bankrupt. Though only active for a short time, Pleasant produced an incredible number of guitars, generally of high quality. 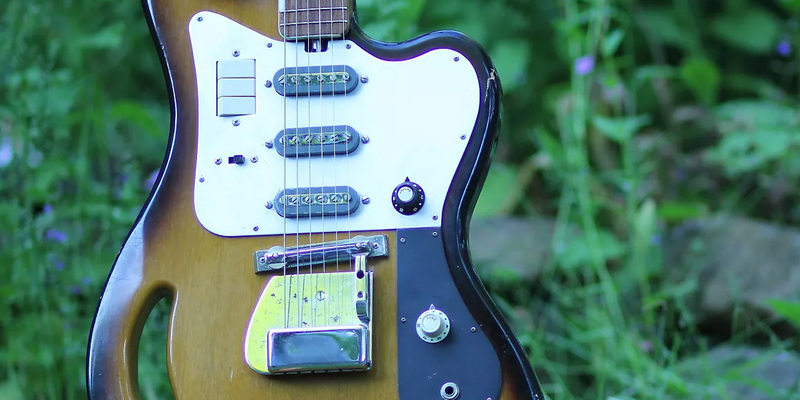 Exported to the US under names like St. George and Intermark, Pleasant’s take on Burns stylings rarely has them confused with Teisco, though every so often you see them identified as such. 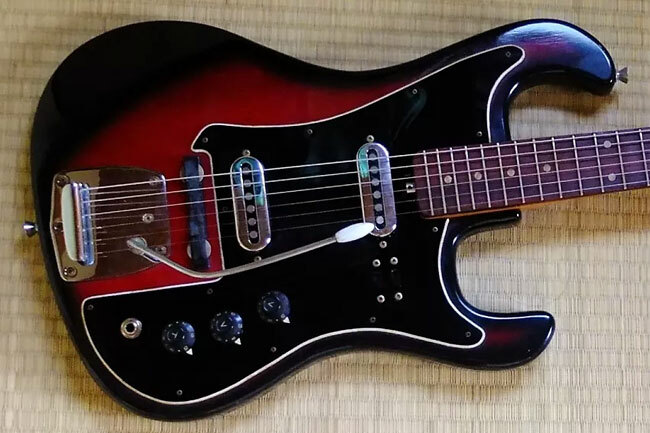 Though all of the major Japanese manufacturers from the 1960s have been identified, you will still occasionally run across a guitar that defies just about all categories and can’t be fully matched up with any of the above examples for comparison. Hironobu Yamauchi of the venerable Kurokumo Factory in Nagano, Japan had a clear explanation for this. During the 1960s guitar boom, demand for guitars was so great that many factories were running at maximum capacity. They would then turn to small local manufacturers of wooden items and request them to start making guitar bodies or necks. These companies would sense a business opportunity, so they would start producing their own original brands during the height of the boom. But when the guitar boom collapsed, they quietly returned to their original manufacturing purpose and disappeared into the mists of time. Want to know more about how to distinguish all these guitars? Until a few years ago there wasn’t a good (or any!) English language reference book for Japanese guitars of the 1960s. But my co-author on this piece, the esteemed Frank Meyers of Drowning In Guitars, has written an excellent primer on this subject which can help demystify the confusion around a lot of these guitars. You can pick up your own copy here. Japanese guitars from the '60s look incredible, but you want to make sure the one you're buying plays just as well.